Did mammals spread out from an Asian Eden? 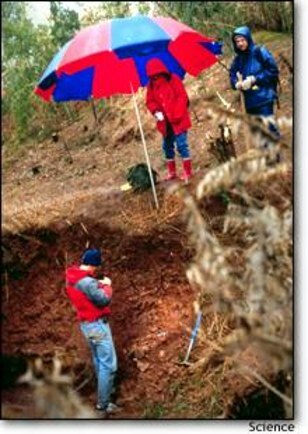 Researchers conduct field work in the Hengyang Basin of Hunan, China. Fine-grained, red rock like the rock seen here preserved the magnetic and carbonate materials that were examined to figure out how mammals spread out 55 million years ago.